Our itineraries will help you map your route, and plan your visit to the past. Louisiana’s two different cultures come to life with tours focusing on Anglo and Creole owners, antebellum grandeur and French colonial simplicity. The great culture divide that is Louisiana is illustrated in two very different plantations: One Anglo, the other Creole, one flaunting its wealth, the other existing outside the American mainstream. Allow 5 1/2 hours for tours & driving when coming from New Orleans. Take the top two most popular and most visited historic attractions in Louisiana and locate them in the heart of New Orleans Plantation Country, less than an hour away from the French Quarter. Imagine, laid out before you, America’s most recognizable plantation vista and combine that with what Lonely Planet Travel calls the “Best History Tour in the USA.” What you end up with is a true highlight of your New Orleans visit: tours of Oak Alley Plantation & Laura: Louisiana’s Creole Plantation, just 4 miles distant from each other but worlds apart. Encounter two very contrasting aspects of plantation life. Allow 6 1/2 hours to drive & tour when coming from New Orleans. Explore two cultures of wealthy Sugar Barons and marvel at the dramatic architecture and grandeur of these two mansions. Hear stories of a woman in despair and another woman’s lavish lifestyle. Enjoy Houmas House and San Francisco Plantations. Allow 5 1/2 hours of tours and driving when coming from New Orleans. During their height of splendor, these two plantations experienced great times of wealth, romance and extraordinary grace. But their short lived prominence ended in tragedy. Come hear their stories. Spectacular is the right word. From Oak Alley’s majestic view of the 1/4 mile alley of 300 year old oaks to the elaborate baroque architecture and decor that is San Francisco. Allow at least 5 1/2 hours for this self guided driving tour when coming from New Orleans. 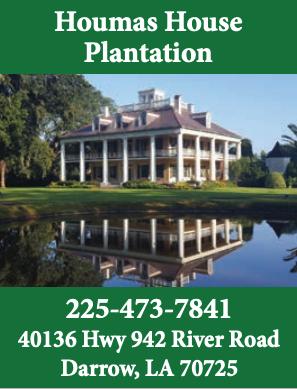 In one itinerary, visitors are offered 4 different accounts of River Road history and culture, with stories of immense wealth, of charmed and tragic lives, of slavery and the hardships of daily life that contributed to the rich Louisiana cultures that we know today. 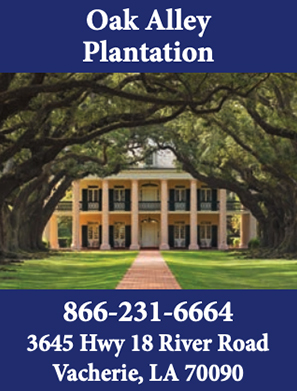 When visiting New Orleans, it’s important to learn and understand the role and significance of the plantation homes on River Road. Their impact on the city we see today is momentous because it was the wealthy Sugar Barons that helped build the structures that are now icons in the French Quarter. The use of slaves was pertinent to operations on the hundreds of thousands of acres of sugarcane fields. The River was the main route for transportation between the plantation homes and the city. A visit to New Orleans would not be complete without a day trip to New Orleans Plantation Country. The culture that existed 150 years ago is still evident today in the dialect, the customs, the food, and the surviving architecture. The winding River Road is merely a portal to the past. Standing in the alley of oaks, or among the massive columns, or next to a slave cabin is humbling and magical all at once. You can almost hear the voices of the residents who lived there and smell the sweet magnolias. Begin your journey to the past. Allow 1 1/2 days of tours, driving, and overnight stay when coming from New Orleans.